Dong Nai (VNS/VNA) – More talented and experienced doctors are leaving public hospitals to work in private facilities, raising concerns of a shortage of key doctors in the public sector. Figures from the southern province of Dong Nai's Department of Health show that the number of doctors leaving public hospitals for private facilities has increased over the past few years. Dr Le Thi Phuong Tram, deputy head of the Dong Nai General Hospital told Thanh Nien (Young People) newspaper that 32 doctors decided to leave the hospital. Of that, three were deputy department heads and eight had post-graduate degrees. PhD Tang Chi Thuong, Deputy Director of HCM City’s Department of Health said he was afraid the trend would continue. Dr Le Thi Phuong Tram said the Dong Nai General Hospital took a survey on the salary doctors wished to receive each month. Most said they wanted between 20-25 million VND (864-1,080 USD) per month. To meet the expectation, the hospital is planning to diversify medical examination and treatment to increase the income of the doctors, she said. Director of the Thong Nhat General Hospital in Dong Nai Pham Van Dung said apart from low incomes, there were other reasons for doctors seeking private employment. Nguyen Hoai Nam of HCM City’s Medical University said many left their jobs as they no longer felt happy and comfortable with the working environment. 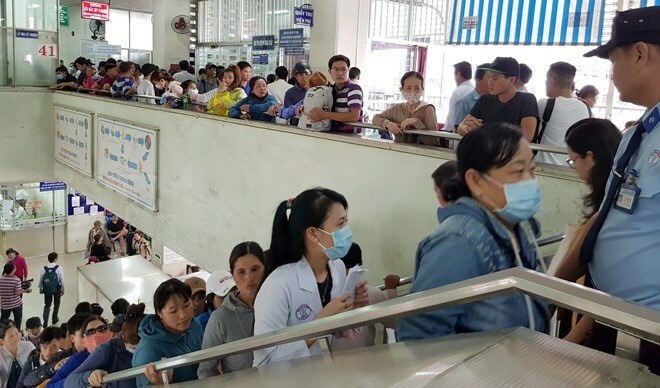 Tang Chi Thuong said well-paid doctors still resigned as they had little chance of studying abroad or doing research to improve their professional skills. Bui Thanh Chi, former deputy head of the Hanoi -based Bach Mai Hospital, said qualified doctors working at public hospitals like Vietnam-Germany or Bach Mai rarely wanted to switch jobs to get more money.